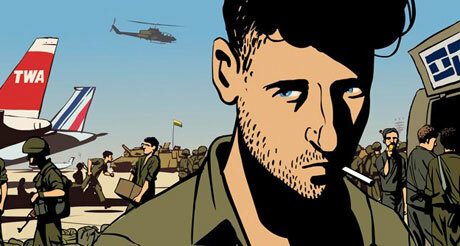 Waltz with Bashir is Ari Folman’s animated documentary into the horrors of the 1982 Lebanon war. It is being screened at The Poly, Falmouth, as part of Shifting Sands -An exhibition from Guy Martin, which covers Guy’s photography of the Arab Spring. Falmouth’s famous indie cinema, The Poly, has announced its closure. 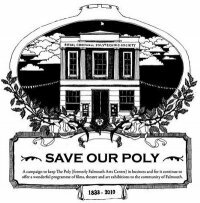 The Save our Poly campaign, which is aiming to revive the arts centre in Falmouth -it went into receivership in January -is calling for people to become members of The Poly in a bid to ensure the arts centre’s rebirth. The Cornwall Film Festival has announced a package feature-length films which were nominated in the British Short Film and British Short Animation categories at this year’s EE British Academy of Film and Television Arts (BAFTA to you) Awards. Cornwall Film Festival is presenting a special screening of the new feature film Third Star at The Poly in Falmouth, followed by a question-and-answer session with the film’s producer, Kelly Broad, screenwriter Vaughan Sivell and one of the film’s lead actors, Adam Robertson on Wednesday, May 25, at 7.30pm. Back in 2016 Alex Falconer wowed the film world with his short Synthetica. Now he’s released the intensely personal Escape. Based on his life and inspired by his mum the film is being screened at The Poly, Falmouth in the Cornwall Film Festival. We caught up with Alex to find out how the film came to be made, and how he approached his own story. Right Now Film Fest heads to The Poly Cinema in Falmouth on the 26th and 27th of March with a programme of feature documentaries that take a deeper look at power structures and inequalities in the world today. By popular demand we will be returning to The Poly in Falmouth, this time with the theme, Resistance: continuing our mission to present films that defy convention! Now in its 16 year, the Cornwall Film Festival has managed to side-step any easy cliche of ‘difficult teenage years’, and grow and mature into something of a multi-dimensional powerhouse of all things film. You can see just whats on offer on their site. ‘Brilliant â€“ very powerful performance. Funny and heartbreaking,’ is just one of comments about the Diary of a Madman, which will be at The Poly, Falmouth as part of the Cornwall Film Festival, followed by a Q&A and panel discussion.